As we enter the story, Jack, now twenty-one, has returned from France after being wounded and gassed on the Western Front. It is soon apparent that he is deeply troubled but he’s not confiding in his father. He does, however, seem to be bound by shared secrets to another wounded former soldier, Percy McKinnon. Murdoch suddenly has much more serious crimes than rum-running on his hands. The night after Jack and McKinnon arrive home, a young man is found murdered to death in the impoverished area of Toronto known as the Ward. 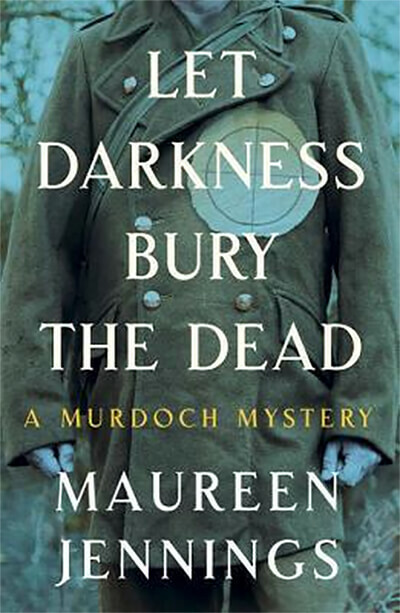 Soon after, Murdoch has to deal with a tragic suicide, also a young man. Two more attacks follow in quick succession. Increasingly worried that Jack knows more than he is letting on, Murdoch must solve these crimes before more innocents lose their lives.